I already wrote about Day 1 of Spy Week, so here are descriptions of the rest of the passive activities I put out each day. The Day 1 activity remained set up all week. I'm tracking most of the interactions by keeping track of how many sheets I put out vs. how many are left over. If anything, those results are low since one sheet usually represented a kid/parent interaction or multiple kids working together, but I'm pleased with the results either way. Day 2 of spy week tests the observational skills of my young sleuths. I filled a mason jar with rice and a variety of small objects. I taped it shut, and secured it to the table. The instructions told them to carefully shake and turn the jar in order to find and identify all ten objects hidden within, and there were blank spaces numbered 1-10 for them to record their findings. Day 3 of spy week is about disguise. I put out papers that were divided into two sections. On one side they were to draw themselves, and on the other side they were to design the ultimate disguise. 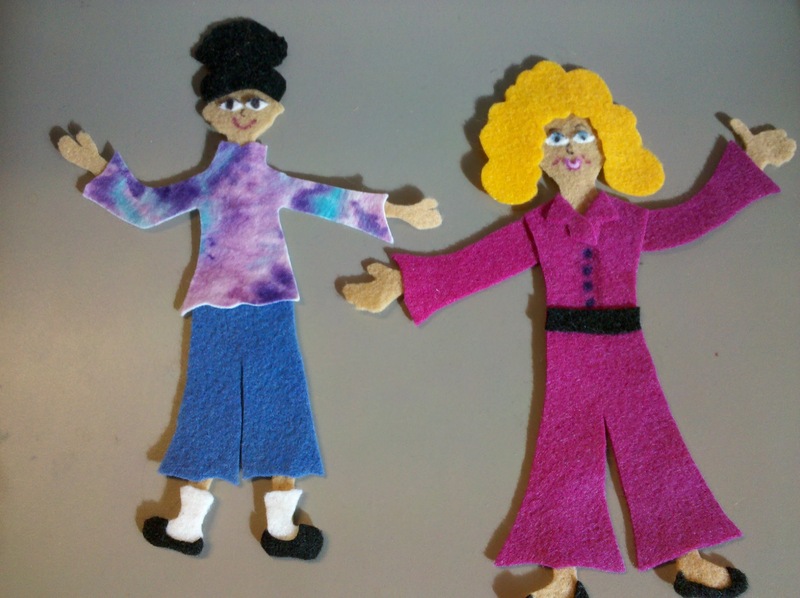 I invited them to turn in their designs for our "Spy Disguise Guide" (binder) at the reference desk. Put out colored pencils and boom! Done. Day 4 of spy week is your basic spy-themed word search. 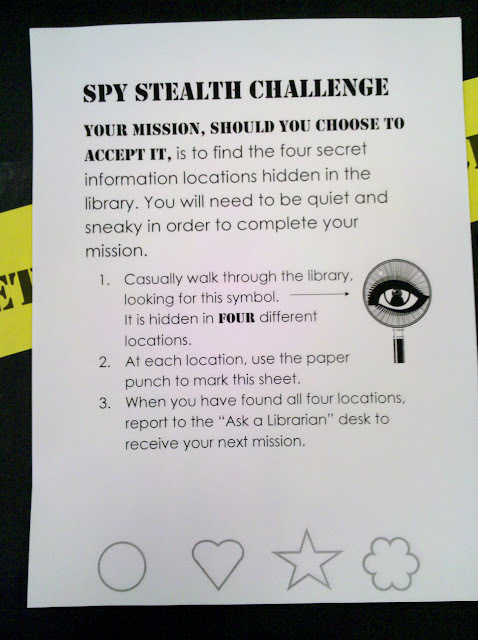 Day 5 of spy week is a code-breaking activity that I put together. I also put out some sheets of white paper that I had written messages on in white crayon. Coloring over the crayon (wax) with marker (water-based) revealed the messages (the code sheets were pretty hard, so I wanted something easier to put out as well). Day 5 also includes the "Ultimate Spy Challenge" program. These are all the places that inspired different parts of Spy Week. It's "spring" break 'round these parts. 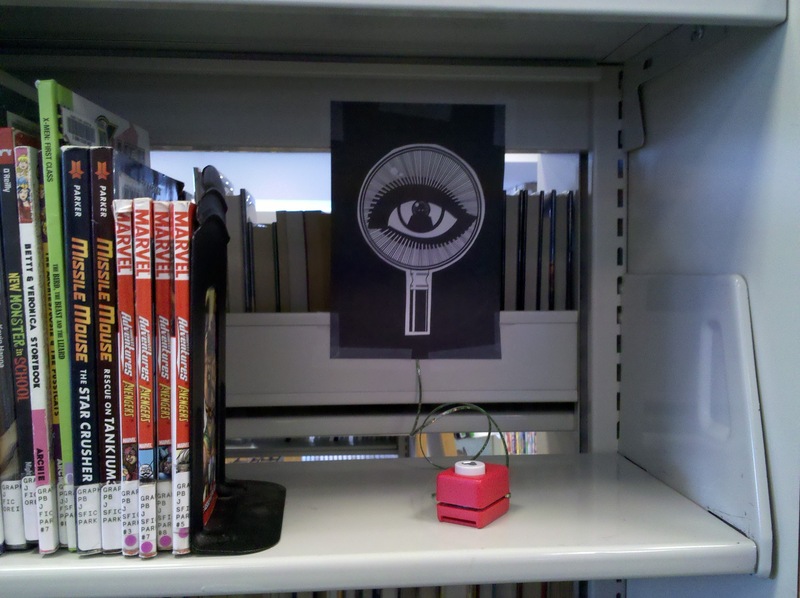 For a part-time librarian that means stealth programming. And (besides ninjas) what's stealthier than a spy? I set up a Spy Station by covering a table with black paper and making yellow banners that say, "Top Secret." 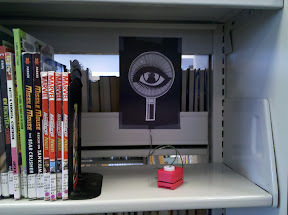 I put out some "I Spy" books and various other spy books. 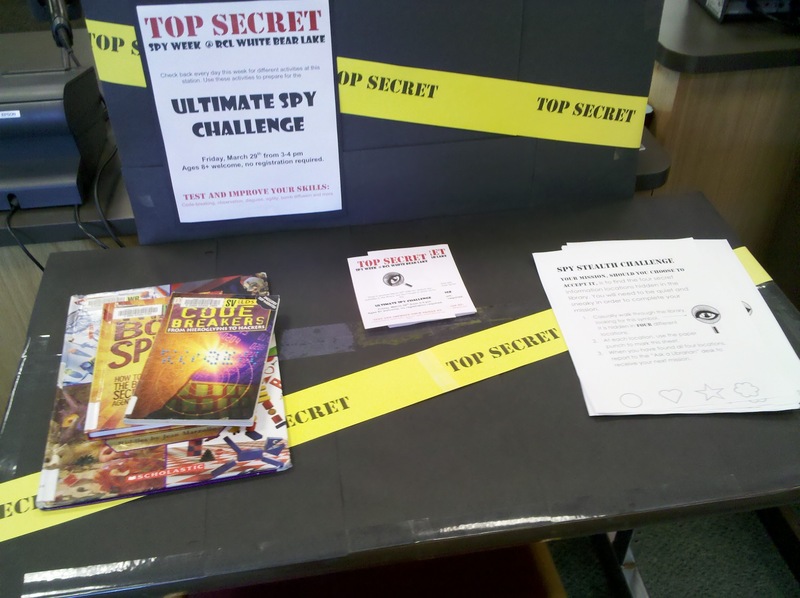 The basic idea is that every day this week there will be a different spy activity at the Station, leading up to the, "Ultimate Spy Challenge" which will be a traditional program on Friday this week. The first activity was a Stealth Challenge. 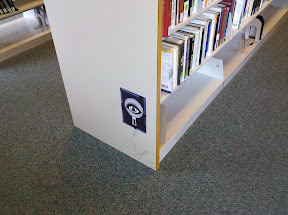 I hid four, "Information Locations" around the children's area of the library and instructed the kids to stealthily hunt for them (reality was more like this). Each location had a paper punch with a different shape. Once they found all four locations they were to turn their sheets in at the Reference desk to receive their next mission. When they came to the desk, I told them their next mission was to learn a secret language and gave them instructions on how to speak in Pig Latin. I made a big deal out of folding the paper in half and telling them they they got to decide who to share their secret language with, and to keep it secret in the meantime. The idea here was that it was something for them to take home and work on outside of the library. The Pig Latin sheets also told them they could get extra credit for saying something to me in Pig Latin (I am fluent in several made up languages, including one my sister and I completely made up which relies on a great deal of mind-reading. But hey, when you've got four brothers whatever works). 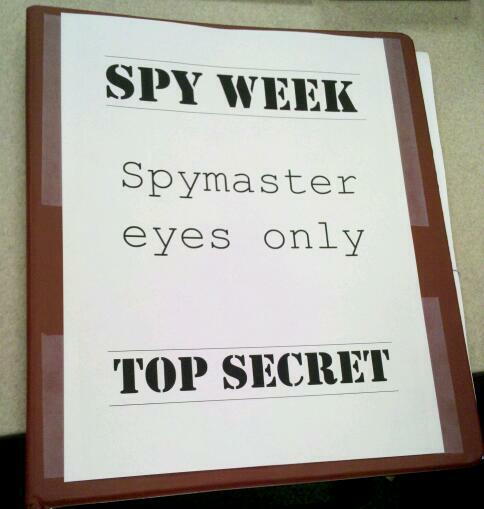 Although it's just the first day of Spy Week, I'm ready to call it a success. When I left for a meeting at 2:30 we had already gone through 17 Stealth Challenges, and in many cases it was whole families or groups of siblings working together to find the Information Locations. I even had a few kids attempt to greet me in Pig Latin (for which they earned Smarties). My favorite moment was when I saw a group of three kids far afield from where any of the information locations were. I sidled up to them, "Hey, are you guys spies? I've got a secret message. 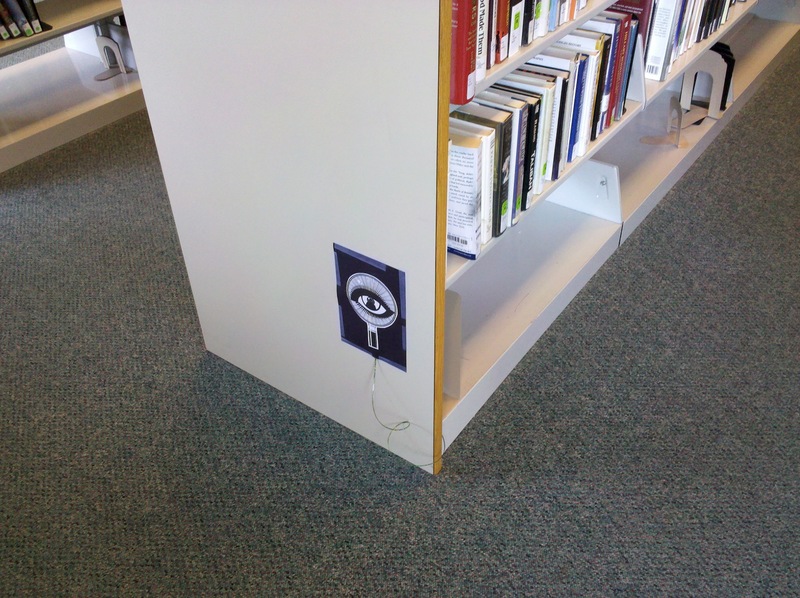 All the information locations are on that side of the library [subtle nod]." I loved watching them go from side-eyed, "Stranger alert" to dawning realization that I was a co-conspirator. First, the nitty gritty. Basically a '.gif' is just another type of file extension, like .doc or .jpeg but a GIF appears as a short animation without sound. Most people say it with a hard "G" sound, but tech nerds swear that's wrong and that it's a soft "G" sound as in Jif Peanut Butter. Personally, I try to avoid saying it altogether, but your mileage may vary. For more info on using GIFs this way, read this article for more info on GIFs, sourcing, and fair use (TL;DR version is GIFs are nearly impossible to source and likely fall under fair use though that hasn’t been tested. But read that article, it’s good. --Anna). If I want to embed the image on my blog, I choose "Save Image As" and treat it just the same as I would a regular photo on my blog. 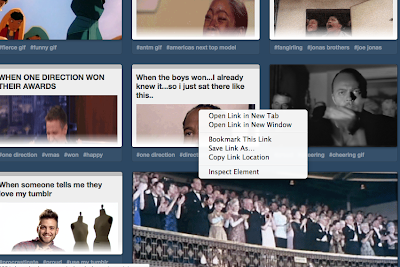 Occasionally, due to the nature of Tumblr, I will get a different menu that doesn't have the option to 'View Image.' When that happens, choose to 'Open Link..." and from there you should be able to 'control + click' to get the 'View Image' menu option. So that's what to to once you've found your GIFs. Now head over to Bryce Don't Play for tips on finding hilarious GIFs in the first place. This book is out of print, and I don't actually even know it (!!! Bad librarian!). But I know it's a favorite of several people in the FF universe, so when I discovered this flannel in my storage cabinet I knew I had to share it. I don't know who created it, but the pieces are GOR-GE-OUS. 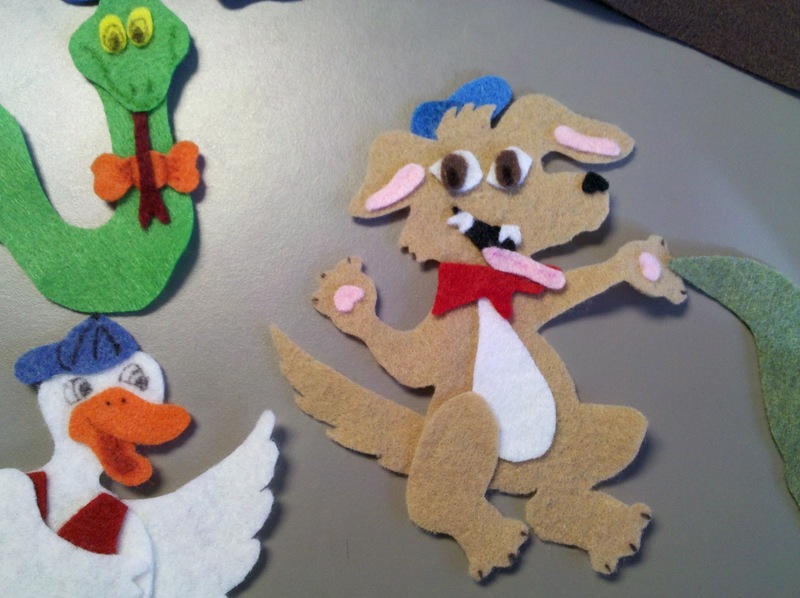 I'm guessing it's the same coworker who made the Chinese Dragons, but I'm not sure yet. Look at that eager young deliver man! This groovy duo cracks me up--look at those socks! The crocodile (alligator?) alone is a work of art--so intricate. 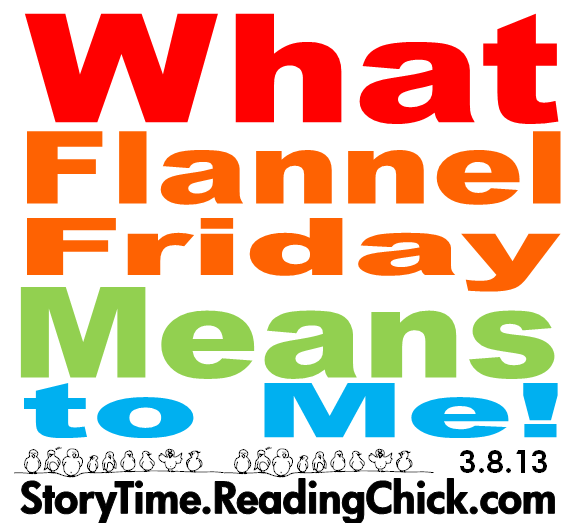 The round up is hosted today at Mel's Desk and you can have all your Flannel Friday dreams come true (or questions answered, or archives accessed) by visiting the Flannel Friday Blog. 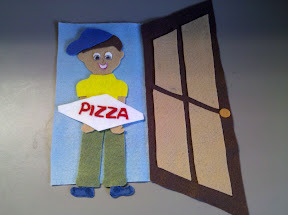 Hi Miss Julie posted a great piece on singing in storytime today, and it's motivated me to finally, FINALLY write down my experience with singing in storytime. I've been thinking about and planning this post for, oh let's see...wow. Over a year ago. I don't use recorded music in storytime, except when we've had a storytime that was specifically ABOUTexploring music. Because I believe there is lots of great recorded music out there, I play music before and after storytime. I rotate the CD each month. This helps me learn new songs, highlights our music collections, and sets the stage for storytime really well. There are two main reasons I don't use recorded music DURING storytime. 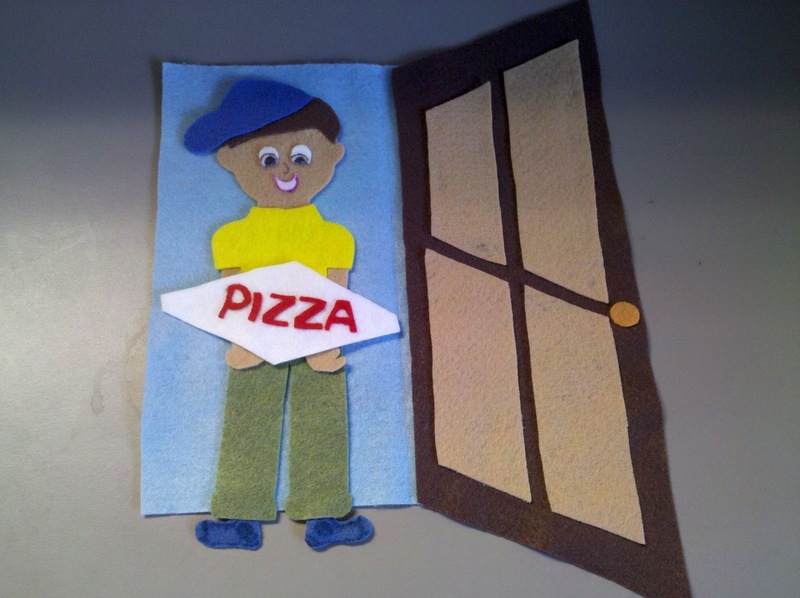 First, my personal storytime philosophy emphasizes modeling behavior to parents and caregivers. I want them to have NO REASON not to sing at home, and I don't want them to feel like they need a certain CD to sing at home. Second, I can't sing along with recorded music. If you had told my 10 years ago that I would regularly and happily sing in front of people I would have literally started to cry. For years, I listed wanting to be musical as the one thing I would change about myself if I could. I couldn't even hum a few bars of a song in front of a friend without tearing up with embarrassment and wanting to hide under the bed. I did, however, always love camp songs but could never figure out why I could happily sing those songs but nothing else. Despite a few years of piano lessons and band, I don't understand music. I don't know how to change the key, and if someone is singing differently than I am able to (pitch? key? ), I don't know how to adjust. In fact right now I have a mom/nanny who sits right in front during storytime and she sings really well...and it's totally throwing me off the same way recorded music does. I had a HUGE revelation when I realized that I wasn't a soprano. I know, that sounds dumb, but so much singing is soprano and I always tried to emulate that. Once I had that revelation I was able to understand why I could sing songs I knew very well, but nothing else. I have to know a song really well in order to be able to sing it within my range. 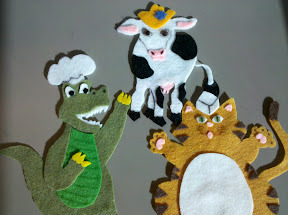 When I'm in my range I have a fairly nice, serviceable voice--and I love singing in storytime! I can't read music, so to learn new songs I listen to them over and over until they're in my head. Then, I sing them over and over--usually in the car--until they are second nature to me. 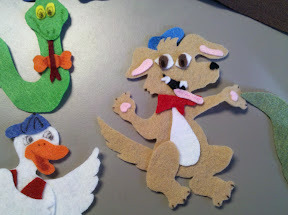 Now singing is one of my favorite parts about storytime, even though it doesn't come easily to me. I'm never afraid to sing with children, no matter where I am. There's such joy in holding a friend's baby and bouncing out a little tune. So much of the feedback I get from parents and caregivers is about favorite storytime songs. Just sing, you won't regret it!